Dine LA is back this summer and we have some delicious deals for you! Celebrate Memorial Day & Father's Day at LAGO! HAPPY MEMORIAL DAY! We remember those who have fallen and we thank you. Celebrate with an Italian inspired BRUNCH on our patio this Sunday and Monday from 10:45am-2:00pm and indulge in our special Farmers' Market Mimosas ALL WEEKEND LONG! Take Dad to LAGO this Father's Day and celebrate in style! Morso della Bestia "Bite of the Beast" - April 27 Spring Lamb! Chef George shopping at the Santa Monica Farmers' Market! Our whole animal dinner series "Morso della Bestia" occurs the last Thursday of every month and features a four course dinner based on the selected "beast" served in conjunction with local Farmers' Market produce. Wine pairings are available to compliment the scrumptious meal. Seating is limited so reserve early. We offer private dining for the event as well as a communal table to sit at...great opporutnity to eat great and meet new people who love food and wine! Who do you love Santa Monica? Vote for your favorite LAGO & CAFFE BELLAGIO! The Most Loved Santa Monica Business Contest is back! Happy Tuesday…not just an hour! Happy Hour ALL night long at the bar. OR TREAT DAD FOR A MANLY THREE-COURSE DINNER! IT'S ALL NIGHT HAPPY HOUR! Join us for all night Happy Hour! HAPPY MONDAY! It's Locals Night! That means 15% off all menu items, and no corkage fee on wines you wish bring to Lago! We love you Santa Monica! Vote for us now in "Best of" categories #7, #15, #21, #26. Go to buylocalsantamonica.com to vote. Thank you! YUM! 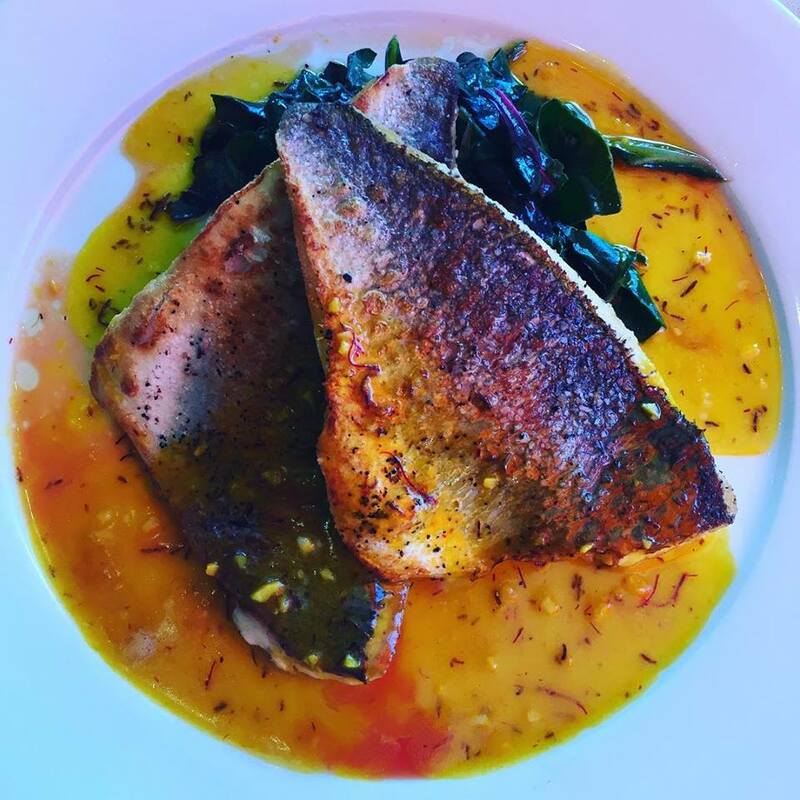 Lunch special: Crispy-Skin Meditteranean Dorade, Saffron Reduction, Coleman Farm's Swiss Chard...$21 What a deal! For those of you who need more than one day to celebrate love we are offering our special Valentines day menu all week: starting Friday, February 12 through February 18th. . Locally Sourced Produce: Fennel from Carpenter; Blood Orange from JJ Lone Ranch; Green Savoy Cabbage from Jaime; Spring vegetables from Tutti Frutti; Raspberries from Harry's Berries. All-natural Veal from Niman Ranch. Sustainable Salmon and Seabass from Santa Monica Seafood.